Lenovo A6000 Shot, the best budget smartphone with 13-mp+5-mp camera launched in Indian market along with Lenovo A1000(Rs 4,999), Lenovo K3 Note Music 4G(Rs 12,999). 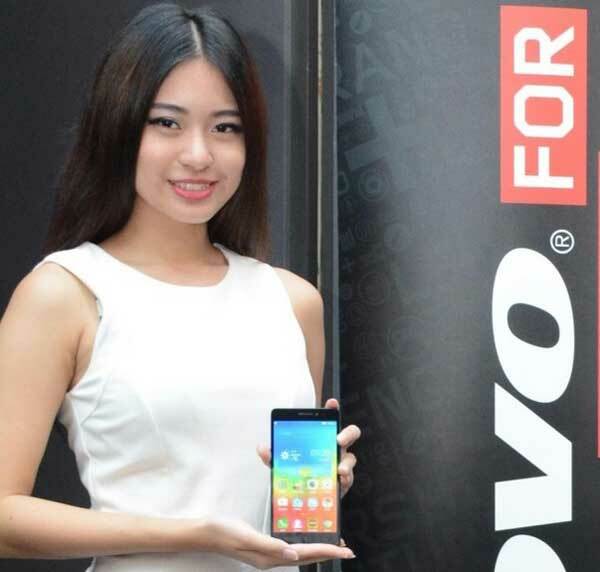 Lenovo A6000 Shot slated to go on sale from the end of Oct. 2015 priced at Rs. 9,999 in Onyx Black, Pearl White, and Carmine Red colour options. Lenovo has recently launched Lenovo A7000 Plus in China at CNY 1,050 expected to launch in India by Nov. priced under Rs 10,000. Lenovo A6000 Shot never let you down because of it’s powerful 2300mAh battery with Quick Charge measures 140.90 x 70.50 x 8.40 mm and weight 130gm while new Dolby Atmos audio technology is perfect for listening music. While it’s predecessor Lenovo A6000 Plus is available in India priced at At Rs 7,499 through Flipkart. The all new Lenovo A6000 Plus supports new Dolby Digital Plus speakers in place of Waves MaxxAudio sound system, 4G LTE( 2300MHz Band 40 (TDD-LTE) in India), Dual-SIM(GSM+GSM), 3G, Wi-fI, Bluetooth,GPS and USB just 7.9mm thick comes with a bigger 5-inch HD (720×1280 pixels) IPS display with a pixel density of 294ppi powered by powerful 64-bit quad-core, 1.2GHz Qualcomm Snapdragon 410 (MSM8916) and runs on Android OS, v4.4.2 KitKat (upgradable to Android 5.0 Lollipop) Vibe UI 2.0 skin on top with 2GB RAM, 16GB Internal memory and 64GB expandable memory sporting a 8-MP rear camera with LED flash promising superior photography in low light and 2-MP front camera best for video calling and selfi packed with 2300mAh battery promising Talk Time up to 22 hours on 2G, Talk Tine up to 13 hour on 3G and Standby Time up to 11days and measures 141x70x8.2mm weight just 128gm. At last few honest word, Lenovo A6000 Shot is going to rule the budget phone market in India. What you think? Please be open to give your view.